Part of me hates to keep bringing up these sold-out shows since the majority of you won't be able to attend or already have tickets and thus don't need this little preview post. 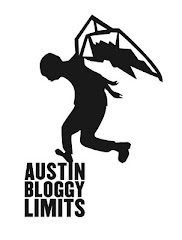 However, I know that some of you who are reading this right now aren't in Austin and aren't necessarily hip to every blog-buzz band to hit the interwebs. It is for you folks that I mention the sold-out show featuring CSS and Sleigh Bells at La Zona Rosa Saturday night. From the moment the show was announced it, instantly, became the hottest ticket in town. I'm not sure how these artists are received in other markets but in Austin both CSS and Sleigh Bells are bona fide rock stars. Those of you who have followed along with this site for a few years know that I featured Sleigh Bells as an artist to look out for at the SXSW 2010 music fest and I also had the chance to chat with them at SXSW this year. Their music is powerful, abrasive, raw, dance music with a punk-rock attitude and their shows are loud, propulsive experiences filled with energy. If this is your first time hearing about Sleigh Bells do yourself a favor and treat yourself to a copy of their album, Treats. CSS is a great match for Sleigh Bells their music is definitely not as in your face but it is certainly dance-rock. I, last, caught them at Stubb's where they played to a sold-out crowd opening up for Gnarls Barkley. They bring syncopated dance rhythms, bouncy keyboards, staccato guitars and some wild body-clinging uni-tards. Their latest album is their first since leaving Sub Pop and I haven't heard much from it but I'm guessing it doesn't sound like Bon Iver or anything. If you already have tickets for Saturday's sold-out show I highly-suggest you bring something to get sweaty and wear your dancing shoes. Oh, and you should probably bring some ear protection because both acts, especially Sleigh Bells, like their beer cold, and their music LOUD! If you're reading this outside of town you should do your best to try and catch these artists when they hit your area or at least rock 'em out in your car whilst sitting in traffic or rolling down the freeway.